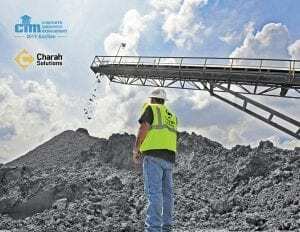 LOUISVILLE, KY (January 14, 2019) – Charah® Solutions, Inc. (NYSE: CHRA), a leading provider of environmental and maintenance services to the power generation industry, today announced that it is donating five loads or approximately 125 tons of ASTM C-618 Specification Fly Ash to the Concrete Industry Management (CIM) program’s annual auction held during the World of Concrete tradeshow in Las Vegas, NV. Charah Solutions is pleased to participate in this important event which helps to support the future of the concrete industry and provide students the opportunity to enter a field that has an urgent need for professionals. As part of this donation, Charah Solutions will provide fly ash from its national MultiSource® materials network, a unique distribution system of more than 30 sourcing locations across the country which ensures that Charah Solutions can provide a continuous and reliable supply of supplementary cementitious materials, including quality fly ash and slag cement, for ready mix concrete producers and other customers throughout the US. Charah Solutions’ source locations for this donation include all plants and terminals throughout the national MultiSource materials network, specifically North Bend, OH; Moscow, OH; Hopedale, MA; Albany, NY; Petersburg, IN; Carrollton, KY; Maysville, KY; Carrollton, KY; Louisville, KY; Gentry, AR; Trona, CA; Rodemacher, LA; Jewett, TX, Oklahoma City, OK; Denver, CO; Laplace, LA; Sulphur, LA; Odessa, TX; Seagrave, TX; Fontana, CA, with transportation to be arranged and paid by the winning bidder. The CIM program is a business intensive program that awards students with a four-year Bachelor of Science degree in Concrete Industry Management. It is a joint initiative of a growing number of universities including Middle Tennessee State University (MTSU), New Jersey Institute of Technology, Texas State University, and California State University, and supported by networks of local, state and regional concrete industry producers, suppliers and contractors. In addition to the four universities designated as schools with CIM programs, an Executive MBA in Concrete Industry Management is available at MTSU. The annual CIM program auction will be held Wednesday, January 23, 2019 at the Las Vegas Convention Center. The silent auction will be held from 11:00 a.m. to 1:00 p.m. and the live auction begins at 1:00 p.m. Visit CIM Charity Auction for details and to register to bid in real-time through the online portal for all of the items in the LIVE auction. For a list of all of the items to be auctioned, click here. Proceeds from the auction will benefit the CIM National Steering Committee and support current CIM programs as well as help fund scholarships. More details are available at www.concretedegree.com/auction. World of Concrete is considered the most important annual international event of the year for concrete and masonry professionals, expected to attract nearly 60,000 registrants and 1,500 leading suppliers from January 21 – 25, 2019 at the Las Vegas Convention Center.